Ukrainian Navy sailors in Crimea surrendered a diesel-electric powered “Foxtrot”-class submarine to Russia on Saturday after it was reportedly surrounded by ships from Russia’s Black Sea Fleet. 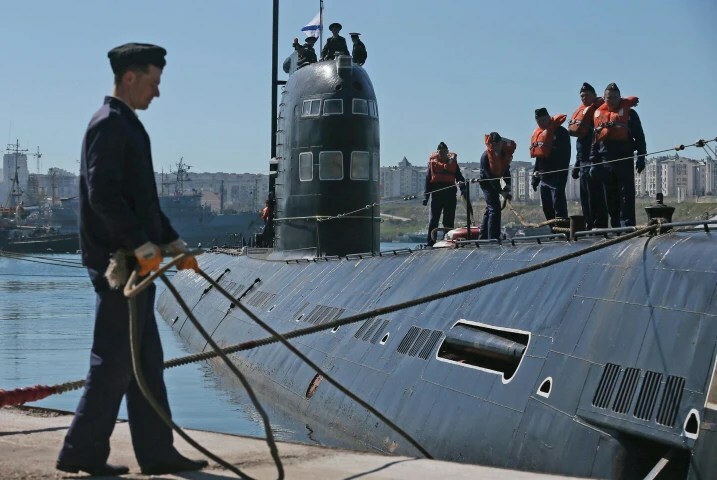 A naval news website in Russia, flot.com, said the submarine’s captain agreed to transfer the vessel, Zaporozhye, which was launched in 1970 and has a crew of 78, to the Black Sea Fleet. The reports came a day after Russian military personnel boarded and occupied three Ukrainian warships in Crimea on Friday. 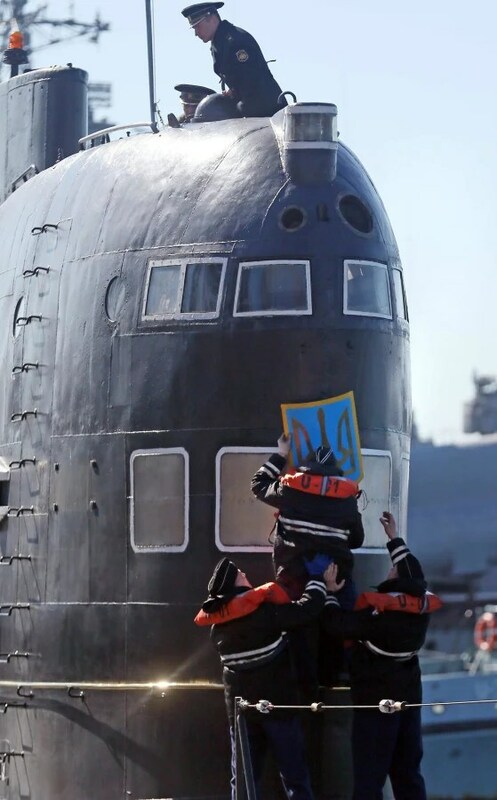 Russian sailors removed the Ukrainian State emblem, above, before the vessel was towed away from the former Ukrainian Naval base in Savastopol, Crimea. Russian Navy sailors prepare to tow the surrendered Ukrainian submarine. 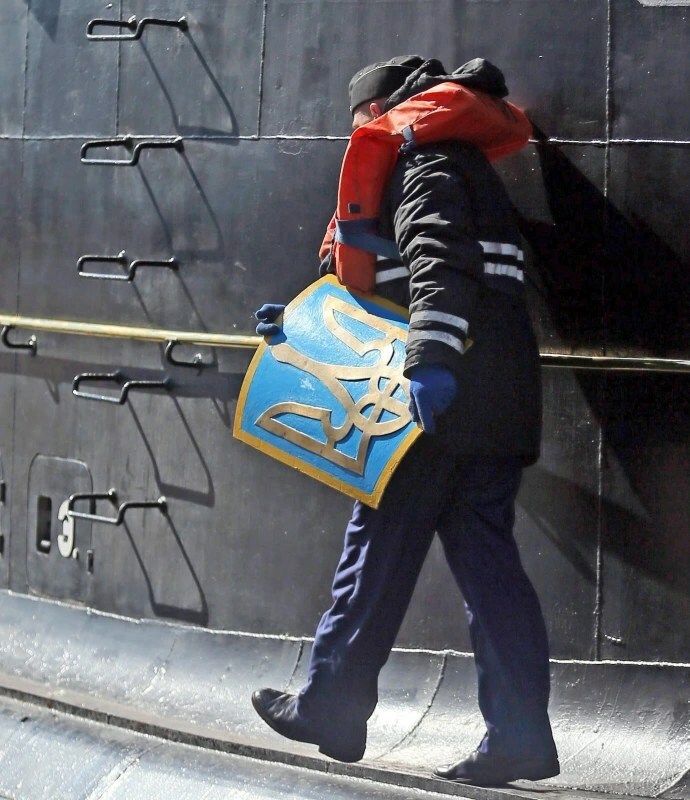 A Russian Navy sailor carries away the removed Ukrainian State emblem from the surrendered Ukrainian submarine.